The members of Monty Python. 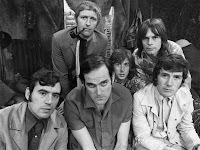 Everyone has their favorite Monthy Python skits, so compiling a "five best" is an impossible task. That said, I think we've come up with five pretty funny, laugh-out-loud classics. 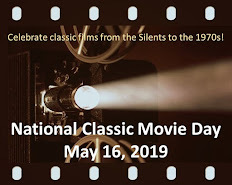 Our only rule was that we limited our picks to skits that appeared on the TV series Monty Python's Flying Circus (as opposed to the feature-length movies). Sadly, that leaves out the killer bunny from Monty Python and the Holy Grail. 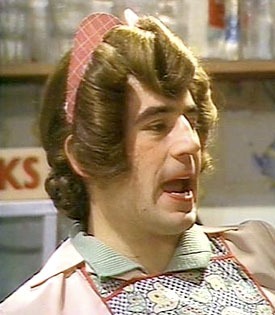 Terry Jones as the waitress. 1. "Spam" (season 2) - A couple literally "drop in" to a diner in which almost every dish is served with spam--often in multiple servings such as "spam, bacon, sausage and spam." When the wife asks for something without spam in it, the waitress notes: "Spam, eggs, sausage, and spam has not got much spam in it." The skit escalates from there and ends up with Vikings (!) singing a spam song. Incredibly silly--and funny. It works just as well on the radio and was featured on Dr. Demento's syndicated show. 2. 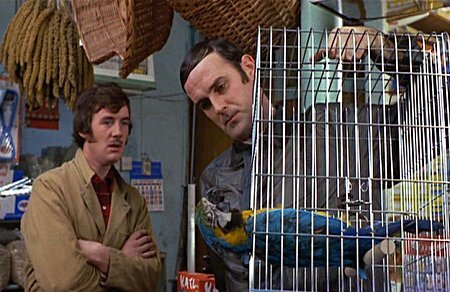 "The Dead Parrot" (season 1) - A man tries to return a dead "Norwegian Blue" parrot to the pet shop that he purchased it from. However, the shopkeeper refuses to accept that the parrot is dead. 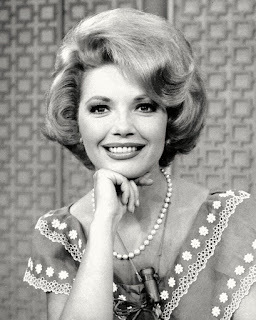 Much of the humor is derived from the parrot owner's many ways of emphasizing that the parrot "is no more," "has ceased to be," "is bereft of life," and "rests in peace." He then flatly states: "This is an ex-parrot." The shopkeeper finally fetches the pet store proprietor--who is the shopkeeper with a fake moustache. 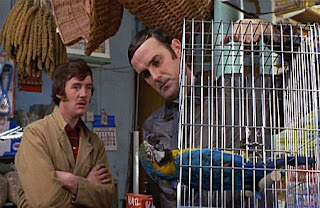 Michael Palin as the shopkeeper and John Cleese with ex-parrot. 3. "The Funniest Joke in the World" (season 1) - A documentary traces the origin of a joke that's so funny that people die laughing. That's the fate of the joke's writer, his mother who reads the joke thinking it's a suicide note, and a police inspector. Eventually, the joke is translated into German and taught to British soldiers during World War II. It proves to be such an effective weapon that the Germans try to create their own killer joke--to no avail. 4. "Hell's Grannies" (season 1). 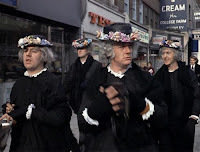 A newscast features a story about Bolton being terrorized by gangs of grannies who attack young men with their handbags and nudge people off the sidewalk. One man laments on camera: "It used to be a nice neighborhood before some of the old ladies started moving in." I suspect this may not be on many Monty Python "best of" lists, but I think it's a visual riot (e.g., the grannies wait for a leggy blonde to walk by, trip her, and then laugh cruelly at her). It appeared in the same episode as "The Dead Parrot." 5. "The Lumberjack Song" (Season 1) - A lumberjack (Michael Palin) sings--accompanied by a Canadian Mountie chorus--about his manly exploits to his girlfriend. However, as the song continues, the lyrics start to take an unexpected turn: "I cut down trees. I skip and jump. I like to press wild flowers. I put on women’s clothing. And hang around in bars." 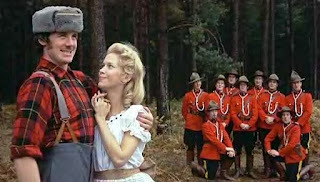 Palin is delightful, but it's the faces of the Mounties and the girlfriend that make this a priceless skit. Was your favorite Monty Python skit omitted? If so, please leave a comment! The Fish Slapping Dance always makes me laugh! It's 24 seconds of hilarity! I wish there'd been room here for the Argument Clinic, but I can't argue with your list. Get it. Wink-wink, nudge-nudge. What perfect timing! I just finished watching the entire Flying Circus on Netflix as I'd only seen select sketches previously. All of these are great. Spam was my favorite sketch previously, and it's still my favorite sketch. I also love the job interview sketch and the Argument Clinic and the Fish License one is hilarious. I'd argue with it with you about your picks, but it'd cost five bucks! Don't forget 'The Ministry of Silly Walks'. John Cleese reprised his silliest walk as Basil Fawlty when Basil had concussion but insisted on leaving hospital. It's a classic! I think it may pre-date their TV show, but who cares? And then there's "Deja Vu," not to mention "The Spanish Inquisition." Spam, spam, spam, spam! This and the Lumberjack song really made me laugh. There’s just something about silly songs! No one has mentioned the cheese shop sketch yet? Great list, though! So many classics to choose from. This post really got me thinking, and I've just remembered both the 'Election Night Special' and 'The Mouse Problem', which were both hilarious. I don't know how well they went down outside the U.K. as they lampooned TV programmes that probably weren't known elsewhere. The first was a brilliant parody of the BBC's election coverage and the second of an episode of the news programme 'Panorama', which still exists. You make a great point in that we Americans didn’t grasp the cleverness in some of the skits because of our lack of knowledge on All things British. I believe the 'Panorama' episode being parodied was about gay men. Although homosexual acts were no longer illegal as long they as they were between 'consenting adults' over 21 years old, the prevailing attitude still was that it was shameful, deviant and inferior to heterosexuality and so very much still a 'problem'. Graham Chapman who was gay and out and proud wrote the sketch.